Making New York a better place through sociology? Apparently, it can be done. 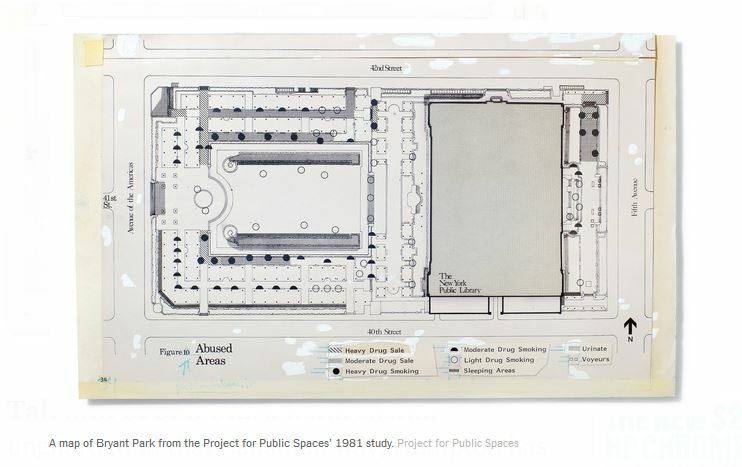 In 1975, Fred Kent (a former student of the wonderful W. Whyte) created Project for Public Spaces. His job? Take time-lapse films of public urban spaces with an eye to improve them. Better than any theory would be massive amounts of data. After all, rather than over-generalize Putnam’s “bowling alone” or agree too hastily with Turkle’s “alone together” thesis, he might be able to just study a spot and improve it with data and experimentation. Kent challenges Turkle, in particular, stating that her sometimes casual observations about connection are simply no replacement for time-stamped, time-lapse data on human interaction. What’s missing, he says, is historical perspective. To avoid nostalgia for the past and the inevitable retrospective bias and attribution errors as we “remember” the past, we just need data and rigor. … mobile-phone use, which Hampton defined to include texting and using apps, was much lower than he expected. On the steps of the Met, only 3 percent of adults captured in all the samples were on their phones. See NYT story about all this here. This entry was posted in Infrastructures in the making, Methods, New Ideas, Old Ideas, Uncategorized by Nicholas. Bookmark the permalink.